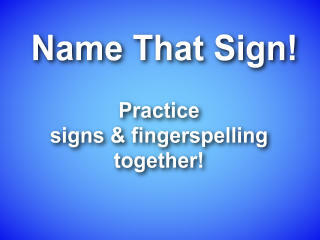 "Name That Sign!" 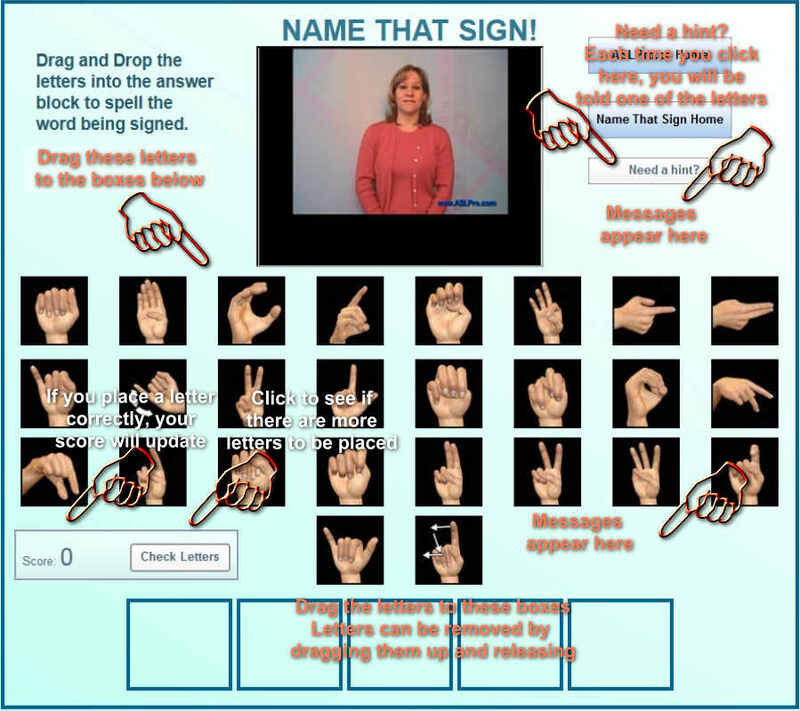 helps you study your signs and fingerspelling at the same time. A random video will play and then you will drag and drop (4-7 letters) to spell the word being signed. Note: g and p are slightly turned to allow a better view of the letter.